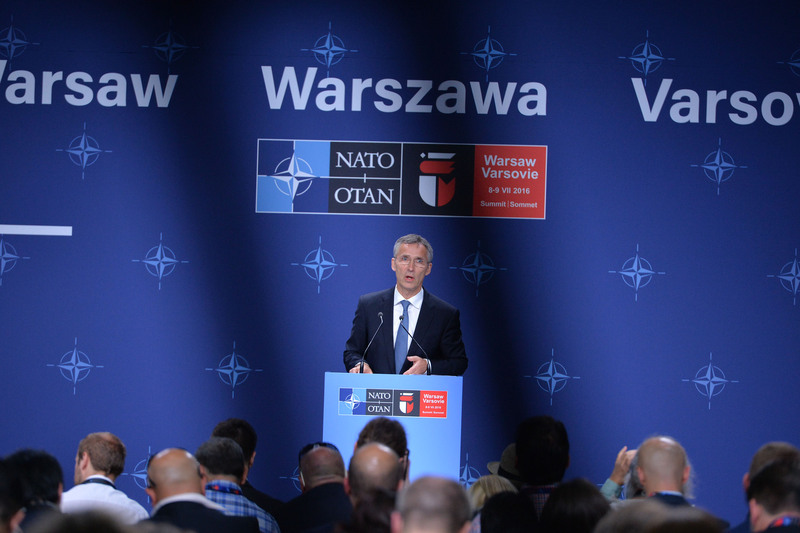 Warsaw Summit: What Message is NATO sending? Is NATO doing what it’s supposed to be and what should the main message be after the NATO Summit in Warsaw? The NATO Summit is taking place in Warsaw July 8 - 9. During the Summit it is expected that leaders will agree to deploy four battalions to Estonia, Latvia, Lithuania and Poland. 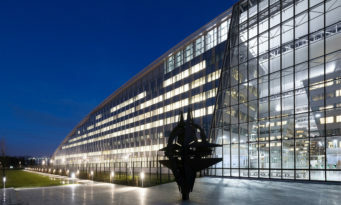 NATO Secretary General Jens Stoltenberg said that "Further efforts to strengthen the Alliance’s deterrence and defence include a tailored presence in the south-east, based on a multinational brigade in Romania and steps to improve cyber-defence, civil preparedness and the ability to defend against ballistic missile attacks". Further to this the deployment of NATO AWACS surveillance aircraft to support the Global Coalition to counter ISIL is set to be approved this week and it is expected that an agreement on a new training and capacity building effort in Iraq and a role for NATO in the Central Mediterranean to complement the European Union’s Operation Sophia will also take place. Taking into account what has taken place in the past few years is NATO doing what it's supposed to be and what should the main message be after the NATO Summit in Warsaw? 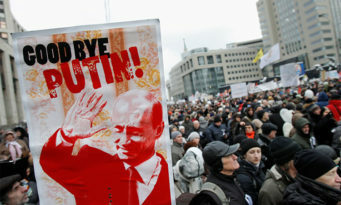 It's very clear to me that NATO has gained a new lease on life, largely thanks to Vladimir Putin. With the alliance's mission in Afghanistan about to shift dramatically from combat and peace support operations to training in 2014, there were serious questions about NATO's purpose. Putin's invasion of Ukraine put all of those questions to rest, and it's clear now the Alliance is more vital to the security of its member states as it was nearly 70 years ago. It terms of how it's responding to the challenge posed by Putin, as well as other security threats facing the transatlantic community, the Alliance has indeed made significant strides. An emphasis on increased readiness, a return to focusing on Article 5 missions, an important commitment to forward presence in the Baltics, and a dynamic program of relevant exercises and training events all add up to a far more effective alliance organisation than existed just a few years ago. Certainly, there are areas where the alliance could do more and could do better, but in general the alliance has done much to improve the security of its members in recent years. As for the Warsaw Summit, I think the main message ought to be twofold. First, the alliance ought to acknowledge that Russia is no longer a partner and will not be as long as frozen conflicts fester along or near its borders -- in Ukraine, in Moldova, and in Georgia. Russia efforts to destabilise its neighbours through low-level armed conflict fundamentally contravene the values of the West. Acknowledging Russia as we find it today -- versus pursuing some naive, unrealistic vision of Russia transformed -- is critical to safeguarding Western security. Second, the alliance ought to move toward a 'new normal' in Eastern Europe. 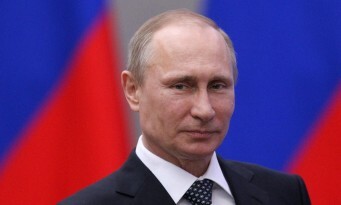 Russia's invasion of Ukraine has clearly violated and hence vitiated the NATO-Russia Founding Act. Therefore, it makes sense for the alliance to adjust its force posture in the East through forward presence. Permanent presence would probably be best -- given the necessity of building high levels of operational and tactical interoperability with and among the Baltic states. As a second-best option, persistent, rotational heel-to-toe presence will achieve many of the same objectives as permanent forward presence, and it looks like the alliance will approve of such a deployment in Warsaw. * These views do not necessarily reflect those of the U.S. Government. I think domestic issues are growing in importance and NATO has not yet figured out how to be relevant in that debate. Issues that have to do with unemployment, inequality and the erosion of the middle class have become so severe that they are now starting to affect our politics. I just published an article on Brexit that begins to address this issue. I would suggest that the main message [of the Warsaw Summit] would have to be that social inclusion and domestic political sustainability are now part of the security debate. If someone like Marine LePen wins the presidential election in France NATO would suffer the consequences for example. So building politically sustainable and economically inclusive societies is now an issue of strategic importance. The mandate NATO has pursued in the last decade contributed to the image of a military organisation with difficulty of adapting itself to the new asymmetric security challenges. NATO sought to consolidate the Allies along traditional roles of territorial defence and deterrence combined with non-Article 5 expeditionary missions. As a result, it moved the framework of its security field far away from geographical confines of the North Atlantic area. NATO’s functional adaptation capabilities in recent years were significantly reduced by the problem of burden-sharing as well as internal fissions and external challenges. High-spending allies were critical towards “free riding” practiced by smaller states. 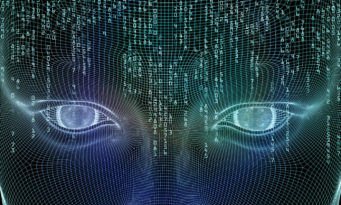 Controversies over the identity and credibility of the Alliance made it important to search for a new posture responding to accumulated challenges and threats. With the advent of Russian aggressive policy toward her neighbours, NATO’s global strategy sought to reconcile new missions with traditional defence and deterrence roles. Russia’s aggressive stance at the international stage and new non-traditional threats generated by non-state actors woke up the Alliance from the “strategic doze” and underscored the importance of readiness, reassurance and revitalisation of Article 5 of the Washington Treaty, which was reconfirmed in Newport. NATO has been a cornerstone of Euro-Atlantic security system, but now it must cope with overloaded security agenda and ensure consensus among its Allies required for maintaining its defence posture. 1) Credible and realistic collective efforts in order to be seen as a token of responsibility for protection and defence of the territory and population of the Euro-Atlantic community. 2) Reinforcement of NATO’s military persistent active presence at the confines of the North Atlantic area: not only in the Eastern flank and in the South (Middle East, the Mediterranean), but also in the High North (the Arctic region). 3) A flexible yet tough stance towards Russia, combining dialogue with sanctions and active deterrence in the face of Russian provocations and military “close encounters”. 4) More attention and practical efforts devoted to new security challenges: cyber defence, infowar, critical infrastructure protection, resilience building (especially in response to hybrid threats). 5) Developing preparedness and early response to emerging threats and potential crises: enhancing VJTF, developing missile defence components, but also improving military education and training, adopting compatible play-books, organising exercises to maximise the effects of trainings. NATO has essentially spent the past quarter of a century trying to redefine its role. Although questions about its continuous relevance abounded, whether we look at the 1991 Strategic Concept or the last Summit in Warsaw, the Alliance has not been afraid of searching for new ‘out of area’ competencies. Nevertheless, the annexation of Crimea and war in the Donbas quelled any such questions. With wars and revisionism in Europe once again a real possibility, NATO’s raison d’etre has not been stronger since the end of the Cold War. As the post-Cold War European security architecture crumbled under Russian revisionism, the 2014 Summit in Cardiff showed an Alliance awaken to a new reality. The past two years, as the transatlantic community geared towards the Warsaw Summit, there has been a burst of activity (some in words, some also in action) to help strengthen the Alliance against any new potential threats in both, short and long-term. For example, the Connected Forces Initiative is an important long-term project to promote the standardisation of (at the very least) some basic equipment among the member states’ armed forces. On the other hand, the Very High Readiness Joint Task Force (VHRJTF) provides an important move towards greater preparedness, while the pre-positioning of equipment and rotational units aims to address questions of immediate response in addressing conventional threats. The strengthening of cyber security structures is also another key component of allied defence, while we are finally seeing positive trends in member states’ defence budgets. At the same time, there is still a significant gap between words and deeds and, crucially, providing reassurance versus de facto security. As we have witnessed in the case of Ukraine, borders of European countries are no longer exempt from revisionism. To this extent, for as long as revisionism remains a practice of some European state/s, members such as the Baltic states are not in fact any safer inside the transatlantic Alliance. While increasing the pre-positioning of weaponry and the rotation of troops, it should be remembered that this force aims to reassure these states rather than to deter Russia from any potential threats to the region. In this sense, NATO membership to some extent still provides more the belief in security, rather than de facto practical assistance. The key issue that the Warsaw summit must address is not merely how to respond to potential threats, but also how to engage with them. By this, I am largely referring to Russia, but we must also remember that Russia is not the only threat facing the Alliance; the southern flank remains highly unstable while developments inside Turkey should also be watched with some anxiety. To this end, the Alliance must continue to build its resolve in facing the various threats and challenges. Nevertheless, relations with Russia do remain the key issue. As the Deputy-Secretary General Alexander Vershbow noted, NATO-Russia relations should be guided by the principle of ‘dialogue without cooperation’. Consequently, three practical step ought to come out of Warsaw. Firstly, NATO must continue providing not only reassurance to its members, but also de facto security assistance. I do not simply refer to the stationing of conventional armed forces on member states’ territory, but increasing military exercises or assisting in cyber security resilience which provides a more comprehensive protection in a world of hybrid threats. Secondly, there needs to be a strengthened focus on assisting Ukrainian or Georgian militaries in building their own capacities. I do not believe that their membership of the transatlantic community would provide an adequate response to their needs. In fact, Russia will interpret such actions as yet further escalation of hostilities. However, strong Ukrainian (Georgian and, even Belarusian) armed forces, capable of defending their territories provide provide number one deterrence to any future attempts at revising borders on the European continent. Thirdly, NATO must not accept confrontation as a new ‘normal’, but neither should it return to business as usual while Russia threatens the sovereignty of neighbourghing states. Regular dialogue in the NATO-Russia Council and beyond must return and cannot be ignored. Ironically, diplomacy must be the key instrument for the military Alliance but, without common resolve on the ground, diplomacy will remain toothless or at best, an endless stream of wishful thinking. 1. NATO is still the main tool for common defence in Europe due to EU problems in defence and foreign policy. Standardisation in EU militaries is actually more advanced due to NATO (for example due to STANAGs) than because of EU efforts. At the same time it's NATO itself (for example because of the Berlin Plus Agreement) that is holding back EU military capacity development (in addition, of course, to the usual budget cuts). This needs to go forward and we need more pooling and sharing that so far EU is doing a bit worse than NATO. Plus, NATO has greater ability to coordinate troops at short notice. But in general, NATO is still struggling to find a common path even if events in recent years are helping focusing ideas once more (mainly vs Russia, but not only). Problem is, NATO is also suffering from divisions across its members, just like EU is - with Western Europe focused on the Southern Flan and Eastern Europe worried about Russian attacks and/or hybrid warfare. Unity and cohesion is the main message that needs to come out of Warsaw, and a real commitment to fulfilling alliance obligations and requirements for common defence. If, say, Italy, France and Spain aren't ready to fight for Riga (for example) if need be (and we all know very well that nowadays few Western Europeans are willing to die for Riga), or Riga and Warsaw aren't ready to help with the migration issue, then the Alliance will crumble the first time it's tested. This is both due to threats like effects of migration and climate change destabilising countries across the Mediterranean and Russia testing NATO's resolution. Russia doesn't want a war with NATO, but if it senses that NATO is not cohesive, it may test it a bit too much - if we don't respond, NATO is finished. If we do (because Russia miscalculated our response), a war no-one wants can start. So we HAVE to show we will be united and ready to cover each other. Eastern European NATO countries have to understand that if they fail to help their Western partners in their needs, other countries won't help Eastern European NATO members when needed, and vice versa. The rest (exact measures against hybrid warfare, arctic strategy, nuclear deterrence, missions in the Med, cyber defence etc...) all come after that. NATO is effectively a toolbox. It works if those who wield it want to use it. If they don't, the tools in it are useless. I strongly advise you to read at least the first 38 paragraphs (it's very quick, they are all rather short) of the 1956 "Report of the Three on non-military cooperation in NATO" . Substitute "Russia" for "Soviet Union" and you'll read something that could easily have been written today, and still points to the same issues of cohesion in front of diverging national interests, lack of reciprocal confidence and the need to build more political cohesion. Article 5 of the Washington Treaty is worth nothing if member governments don't take the political decision to fulfil obligations. That is NATO's real challenge nowadays, and it's not military. Its solution is non-military too - because threats are non-military now. The key question that will need to be answered in Warsaw and beyond therefore is that in paragraph 22 of the above report: "Can a loose association of sovereign states hold together at all without the common binding force of fear?" Not really. NATO likes to say that it’s undertaking the ‘biggest reinforcement of its collective defence since the Cold War.” That’s like going on a long hunger strike, eating a few nuts, and then claiming you’ve had your biggest meal in weeks — technically true, but not very impressive. The truth is that Europe’s defence capabilities are largely hollow, the Russians know it, and the Alliance will need years — if not decades — to regain anything remotely like its Cold War military prowess, assuming the Allies have the collective political will for such a task, which now they do not. In the meantime, NATO’s replaced deterrence with delusion. Take the four battalions that are to be dispatched to Estonia, Latvia, Lithuania and Poland. Two years after Russia basically fought a successful if undeclared war on Ukraine, the Alliance is finally ponying up 4,000 troops to defend its own borders. The delay is, in itself, a reproach to the Alliance. Russia has, by some account, a quarter of a million troops in its Western Military District, with another three divisions to come. In any actual confrontation with Russia, our four battalions would matter little. One is tempted to suppose that something is better than nothing, but sometimes nothing is better than something, if the something is so small that it creates the mere illusion of security. The argument is that the battalions might make Putin hesitate before provoking a crisis around (for example) the Estonian border because he would know that the Allies would be forced to invoke Article 5. But any incursion would provoke a political move towards Article 5, with or without the troops. The battalions don’t change Moscow’s thinking. They do give the Allies political cover to claim they have done something, which is probably the point. The main message should be that we’re far weaker than we should be. This weakness is going to have consequences for Allied security, and perhaps sooner than we think. But NATO has a hard time being honest with itself, much less with the public. NATO should be much more engaged not only in classic Article 5 operations on the defence of NATO territory and NOT ONLY on Conventional military issues and NOT ONLY on Russian Federation, but it has to be much more engaged on urgent security and defence threats and challenges which currently are very important for Europe – migration crisis, terrorism within EU and NATO countries, engagement in Syria and Middle East, North Africa (Libya). If NATO will remain only conventionally orientated defence organisation, it cannot be viewed as a sole security provider for Europe, because, there are much more urgent and important security challenges which should be solved as soon as possible- terrorism, migration crisis, re-establishment of the statehood in Syria, Iraq, Libya and security provisions for wider Middle East and North Africa. Therefore, NATO should not only focus on Russia and a Conventional military approach and the Eastern Flank of the Alliance but also engage in internal security issues within the member states, combatting terrorism in Europe and beyond European limits, engaging into the migration crisis issue and also focus on the South-East Flank of the Alliance. If NATO will not address terrorism and migration issues, remaining only a Conventional military organisation, it could lose its relevance as the sole security and defence organisation in Europe and as the sole security provider. Because of previously mentioned considerations- the very unity and cohesion of NATO is at stake in Warsaw. If NATO addresses only the Conventional military issues and the Russia Factor at the Warsaw Summit, it is obvious that other NATO countries from the Southern Flank will remain unsatisfied because their own security challenges (terrorism, organised crime, migration) will not be properly addressed. Therefore, NATO will definitely confirm the presence of 4 Bn Groups in Poland and the Baltic States, as well as other messages towards Russia, however the NATO - Russia Founding Act and the NATO –Russia Council will remain the legal and institutional framework in continuing to enhance the NATO - Russia dialogue. Hopefully, there will also be statements concerning NATO Involvement into other urgent security challenges- firstly, combatting terrorism in Europe and ISIS in the Middle East which would support the NATO Southern Flank. NATO is moving slower than the Baltic states or Poland would like to see, but the Alliance is moving and this movement from "assurance" to "deterrence" is indeed the most important thing. Bringing back the priority of deterrence and territorial defence is the most crucial task, from the perspectives of the states on NATO's Eastern flank. And agreements to deploy Battalion (or Battalion+) groups in the Baltic and Poland is a very needed decision. However, deterrence should be renewed in all postures of NATO defence - even including nuclear deterrence options. And all challenges should be reflected in new strategic documents of the NATO - Defence and Deterrence Posture Review as well as the NATO Strategic Concept. I think, the main message should be a very clear statement that NATO is not to be threatened and not to get caught by any provocations and surprises from any challenger, be it Russia or ISIS, or any other potential foe. The most important thing - to make sure all NATO members are taking new challenges very seriously and are prepared to make needed adjustments (in increasing military preparedness, defence expences) and even to take some political sacrifices for the sake of security of all NATO members. This strong political message is needed no less than material factors to increase deterrence capabilities. The year 2014 saw the replacement of the ISAF operation in Afghanistan with security concerns “at home” as the core issue in NATO. Particularly the Ukraine crisis and Russian assertiveness in the east served to reinforce NATO’s relevance and redirect its attention from operations to more traditional, collective defence task. The concurrent rise of ISIS/Daesh in the south led to a divide over NATO’s priorities – as diverging threat perceptions in NATO necessarily will create. Since 2014 NATO has emphasised assurance (showing allies that NATO solidarity is strong) and deterrence (showing potential adversaries that NATO is strong). NATO has started reconfiguring its planning, military structures and training for the defence of NATO territory. While many shortcomings and problems may be identified, NATO allies have since the Wales summit in 2014 shown that the Alliance is still relevant and adaptable. Most importantly, the USA has clearly shown its commitment to NATO and European security. A number of concrete initiatives will emerge from the Warsaw summit. The main and most important message is likely to be – and should be – that solidarity within NATO is strong and that the allies are committed to safeguard the security of all allies – both to the east and south. NATO is doing very, very relevant things. Most importantly, it is creating a tripwire in the Baltics/Poland to prevent future Russian aggression. That has been the focus of my attention. NATO is also likely to do more training in North Africa and the Mideast so that those countries might not be so instable and produce fewer refugees. The main message of the Summit is likely to be: NATO is committed to the defence of its members, and is demonstrating that with significant investments in the East and stopping the cuts in defence spending.